Postherpetic neuralgia is a complication of shingles. It occurs when your peripheral nerves are damaged during a shingles infection. Shingles is caused by the varicella-zoster virus. Approximately 20 percent of people with shingles develop this long-term condition. Discuss all aspects of your care, including herbs as a treatment option, with your physician before making decisions about your treatments. Understanding the risks associated with herbs can help you avoid unwanted side effects. Most cases of shingles self-resolve within several weeks. However, if your pain remains after your shingles rash and blisters vanish, you probably have postherpetic neuralgia. Postherpetic neuralgia causes several characteristic symptoms, including burning or jabbing pain, heightened sensitivity to light touch, numbness, itching and muscle weakness or paralysis. The pain associated with postherpetic neuralgia may be agonizing and excruciating, and it may significantly affect your daily living activities. Certain herbs possess pain-relieving properties and may help treat painful conditions such as postherpetic neuralgia. Corydalis, Jamaican dogwood, meadowsweet, valerian and kava kava may help reduce your pain. Other herbs may be helpful in treating shingles and postherpetic neuralgia too, including St. John's wort, oat straw and skullcap. Licorice extract has also been used topically to help treat postherpetic neuralgia. Meadowsweet is one herbal remedy that may be useful in treating postherpetic neuralgia. The primary constituents in this herb are salicylates, which are compounds that possess a chemical structure similar to aspirin. 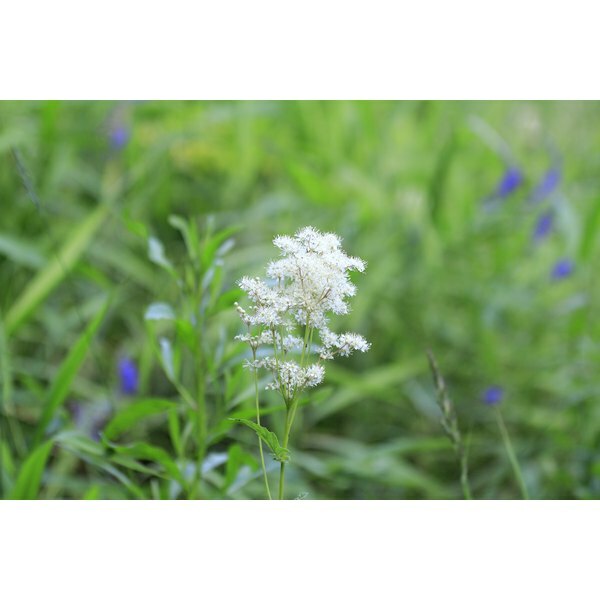 Meadowsweet has anti-inflammatory and analgesic, or pain-reducing, action. It is a plant indigenous to certain regions of Europe and Western Asia. The leaves and flower tops of the meadowsweet plant are used in herbal preparations. In addition to using herbal remedies and other treatment methods prescribed by your physician, consider keeping your stress levels low to help speed your recovery. Chronic stress decreases your immune system's ability to ward off infection. You should also consider eating foods that contain significant amounts of vitamin B6, including bananas, nuts and sweet potatoes. A cleansing fast may be helpful in treating this condition, although you should always discuss the proper procedures for fasting with your doctor beforehand.